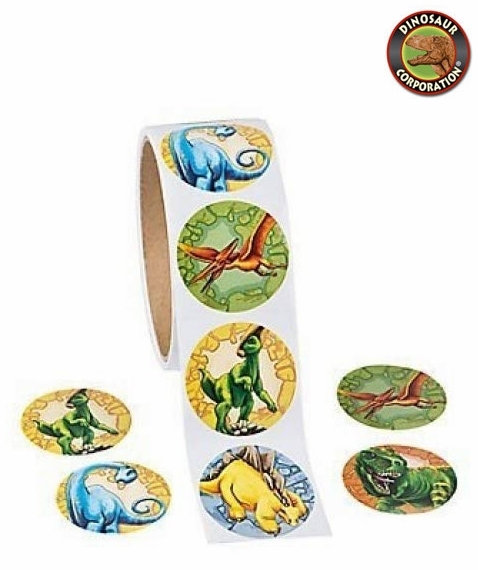 Dinosaur Stickers in roll. Go back to the Stone Age with these colorful dinosaur stickers! Dinosaur fun stickers will add a "roaring" touch to your notebooks and stationery! A perfect party favor for kids loving everything prehistoric.